Beginning Strings is a course designed for students who are interested in playing a string instrument for the first time such as a violin, viola, cello, or bass. Previous experience is not needed for this class. This course will cover basic fundamentals of rhythm, note reading, posture, watching the conductor, bowing, pizzicato, and learning how to perform as a group Appropriate use of musical terms, dynamic markings, and the parts and care of stringed instruments are emphasized. Students prepare a number of concert selections that are performed for an audience. Students should anticipate some afterschool practicing and evening performances. 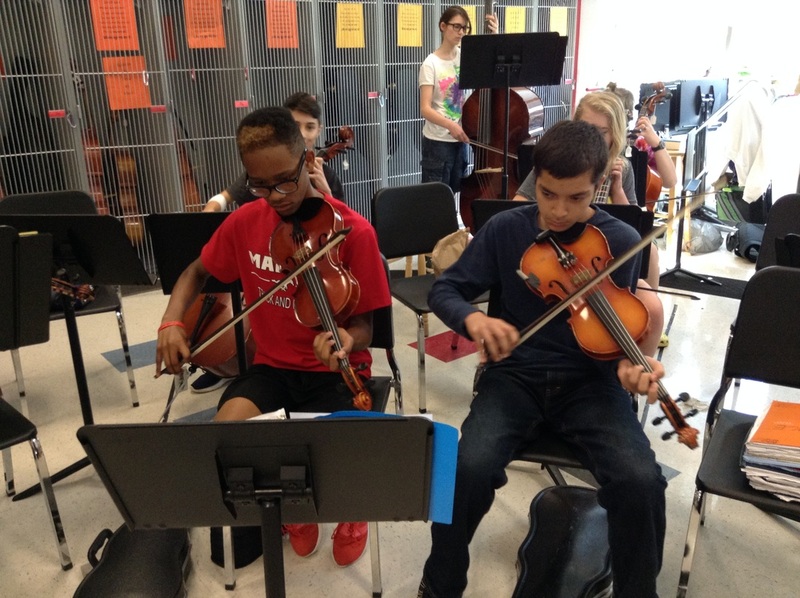 Advanced String instruction are for those students entering the second year of instruction. Students will continue to master skills in rhythm, dynamics, musical terms, bowing styles, playing ranges and scales. Students prepare a number of concert selections, as well as, solo and ensemble music. 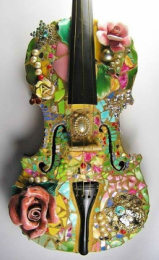 The curriculum for Intermediate Strings is a continuation of Beginning Strings, or for students who enter middle school with previous experience. 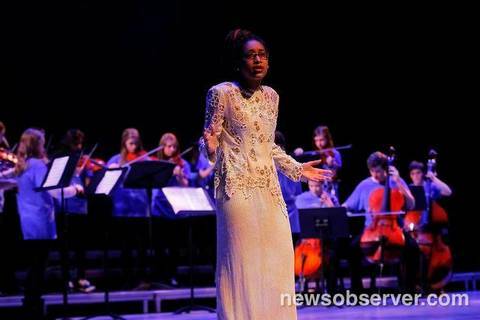 Solo and orchestral literature from a variety of time periods and cultures are studied in this class. Emphasis is on a varied bowing, ear training, identifying and playing various styles, and a deeper understanding of musical terms. Students prepare a number of concert selections that are performed for an audience. Students should anticipate some after school practicing and evening performances. 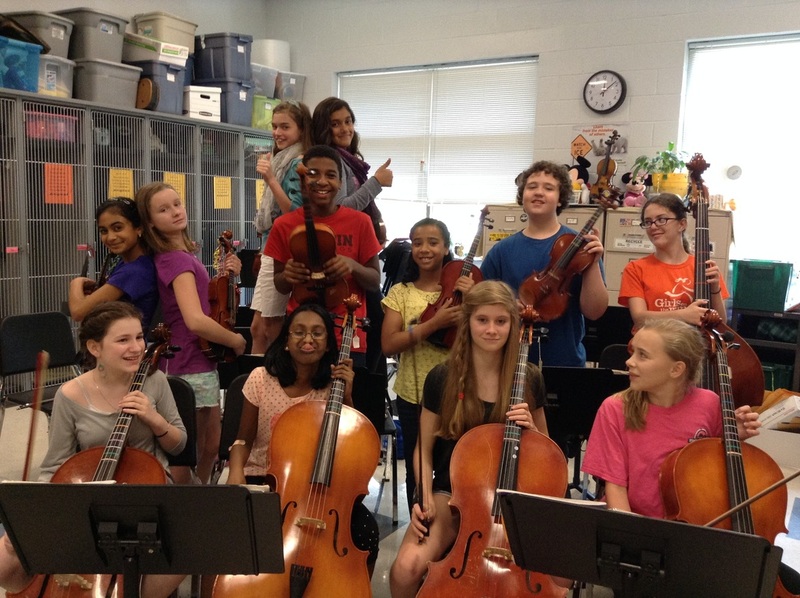 Magnet Honors Orchestra students must have at least 2 years of orchestral instruction in order to take this course. Students will continue to master scales in one, two and three octave with arpeggios. Extended ranges, shifting, and further stud of good intonation are emphasized along with the in-depth study and interpretation. Students are encouraged to perform on an individual basis and participate in small and large ensembles. Students prepare a number of concert selections that are performed for an audience. Students should anticipate after school practicing and evening performances.